In 2017, the wildfires that ravaged the interior of BC were the worst our province has ever seen. More than 1,200,000 hectares of the province were impacted by wild fires – surpassing the 1958 record of 856,000 hectares. 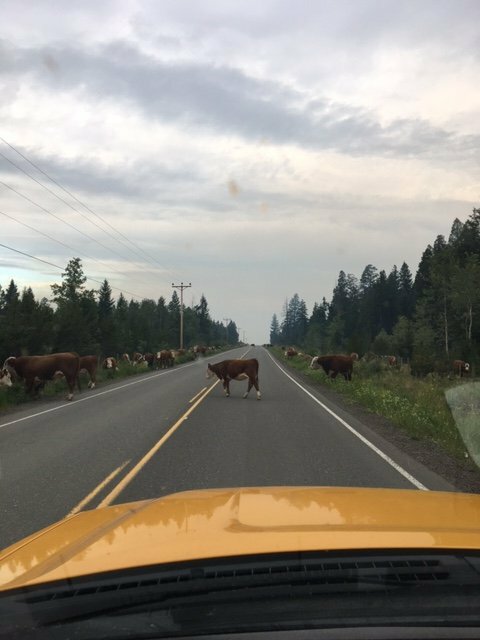 At the peak of the emergency – thousands of people were evacuated from their homes, many vital sections of our transportation network were closed and a thick blanket of smoke hung across our province – giving us all some perspective of just how much of BC was burning. And wildfire season isn’t over yet. 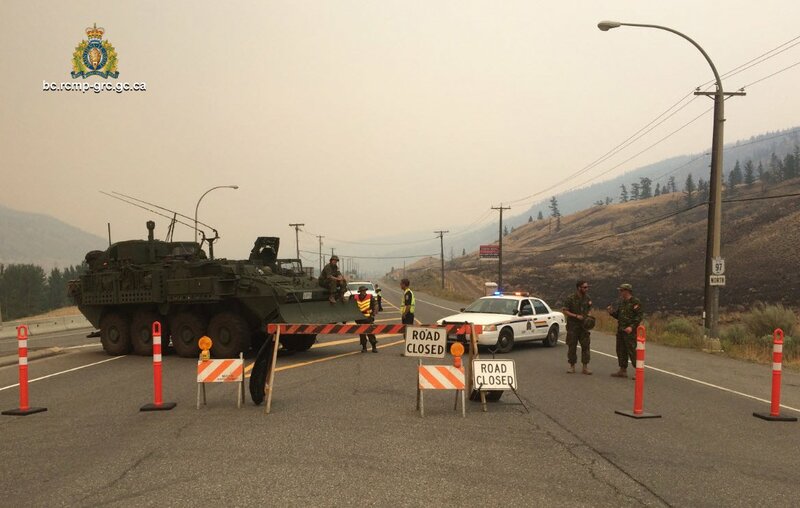 As the ministry responsible for a safe and efficient transportation network in BC, our job in an emergency like this is to safely manage that network during a time when many of our highways are active evacuation routes or impacted by fire related closures. During emergencies we work closely with many other levels of government – provincial, federal and municipal – that also have crucial roles to fill. The provincial All Hazards Plan outlines BC’s response plan during emergency or disaster. Its structure is based on the Incident Command System and requires collaboration and information sharing across all levels of government and supporting agencies, so that planning and action can be taken to support those on the front lines. 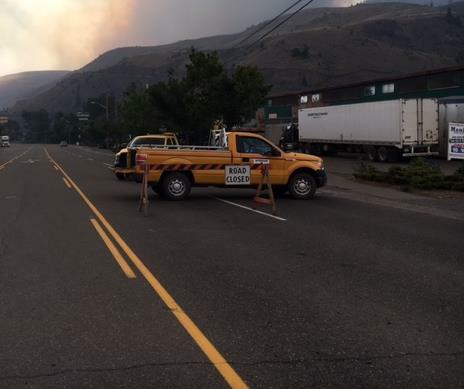 Early in July, the Province and many of the local governments impacted by wildfire declared provincial and local states of emergency. Doing this activated the BC Emergency Program Act which allowed the Province to take additional measures to protect the health and safety of people and property. In a wildfire emergency, the BC Wildfire Service leads by providing emergency response on behalf of the province – with staff from across BC, Canada, Mexico, and Australia staffing fire centres, incident command posts, and on the front lines fighting fires. Wildfires are dynamic and unpredictable by their very nature. This means that they do not follow the rules of the road and sometimes, we need to close our highways to keep travellers safe. There are three levels of support and coordination during an emergency in BC. The first level of response (and often the front line of the emergency) occurs at Local Emergency Operations Centres (EOC). Large scale emergencies require an overarching provincial centre for coordinating provincial as well as federal responses. This is called the Provincial Emergency Coordination Centre (PECC), led by Emergency Management BC. This is a very high level review, but we hope you get the picture. The bottom line is we aren’t doing it alone. During a crisis like this, everyone in BC has a role to play. Thanks to everyone who step up to the challenge during our wildfires – we can’t do it without you.